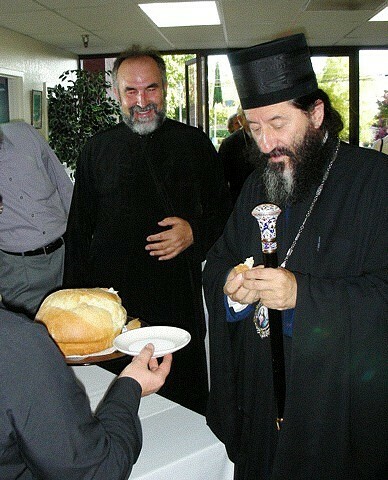 Northern California - His Grace, Bishop Maxim and visiting hierarch, His Grace, Bishop Justin, Bishop of Timok, Serbia who is the special guest and honored speaker at Diocesan Days 2009 in Jackson, California spent a week visiting parishes throughout Northern California. 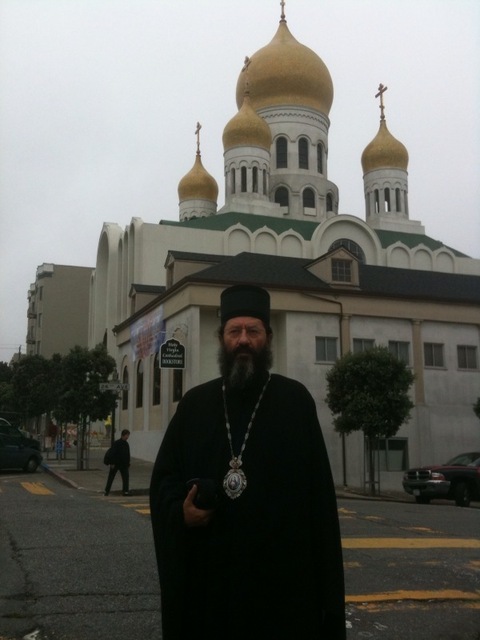 On Saturday, August 29th Bishop Maxim and Bishop Justin traveled to the Serbian Cemetery in the City of Colma near San Francisco to celebrate the Slava (the Feast of the Dormition of the Theotokos) of the First Serbian Benevolent Society. On Sunday, August 30th they served the Hierarchical Liturgy at the Assumption of the Blessed Virgin Mary Church and celebrated their Parish Slava. On Monday, August 31st they visited some well-known landmarks in the San Francisco area. On Tuesday they visited made a special visit to the Theotokos, Joy of all who Sorrow Cathedral to venerate the holy relics of John (Maximovitch), Archbishop of Shanghai and San Francisco. 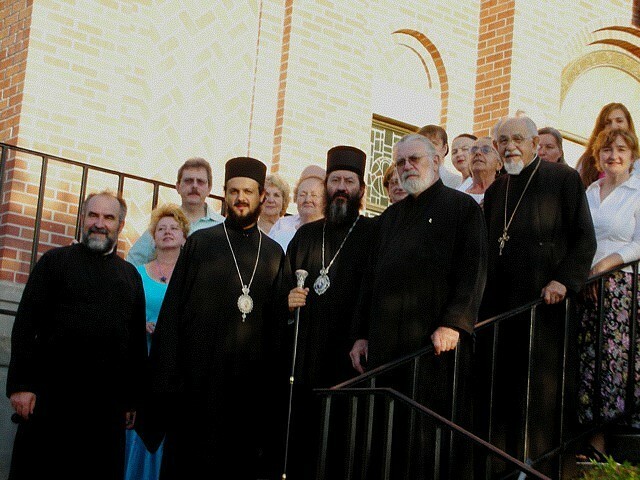 On Thursday, September 3rd they will travel to St. Herman of Alaska Serbian Orthodox Monastery in Platina, California to conclebrate the Holy Liturgy and install the new igumen (abbott). On Thursday, September 4th, His Grace, Bishop Maxim and His Grace, Bishop Justin will be in Jackson, California where they will meet His Grace, Bishop Longin to begin a three day Diocesan Days Gathering with parishioners from throughout the Western American Diocese.